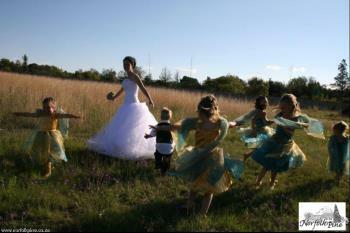 Come and relax at our beautiful Country manor and feel rested, restored and rejuvenated. Sitting on our veranda over grown by bougainvillea you have a breathtaking view of the Magalies mountain range. Sitting on our veranda over grown by bougainvillea, the sunlight shimmering of the clear water in the pool and the big old tree giving shade, you have the most breathtaking view of the Magalies mountain range. From here the journey can be visualized in all its glory, from the dry sands of the Namib desert, to the ancient forests of Knysna, all the way around to the humid beaches of the east coast and up to the white snow covered tips of the Drakensberg. Each one having its own unique kind of beauty and all having this irresistible call to come and you can experience all it has to offer. As you would expect I do not remember a lot of the first years of my life, but I do remember the smell of “outside”, of nature. It seems to be ingrained in all of us since our youth. The smell of newly blossoming flowers, The smell of fresh wet earth kicked up after a big rainstorm. Even the distinct fresh smell of something as destructive as a hail storm. The smell of nature is something we all seem to know and it reminds us of childhood peace, although the memory of the first time we experienced it is lost in a fog of childhood games and long forgotten friends. It is as if these scents were a part of our lives before we drew our first breath. 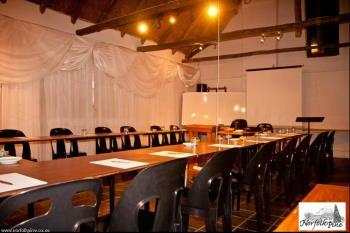 Conference facilities, excellent for intimate groups! Norfolk Pine Guest house has a perfect central location in Centurion, just far enough out of town to enjoy the calm and restful atmosphere of the surrounding Equestrian estates. The conference facility comprises a thatch structure that is imminently suited to creating a relaxed, focused atmosphere for conferences and is ideal for groups of up to 50 people. 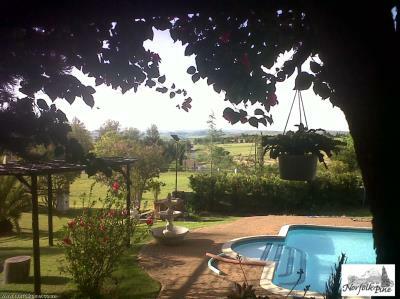 A sparkling pool and garden compliments the facilities and provide breakaway areas for groups. There is a small porch area for smokers and it is separated from the main house by the living room. Coffee, tea and luncheon snacks, all of which are handmade, can also be offered on request.